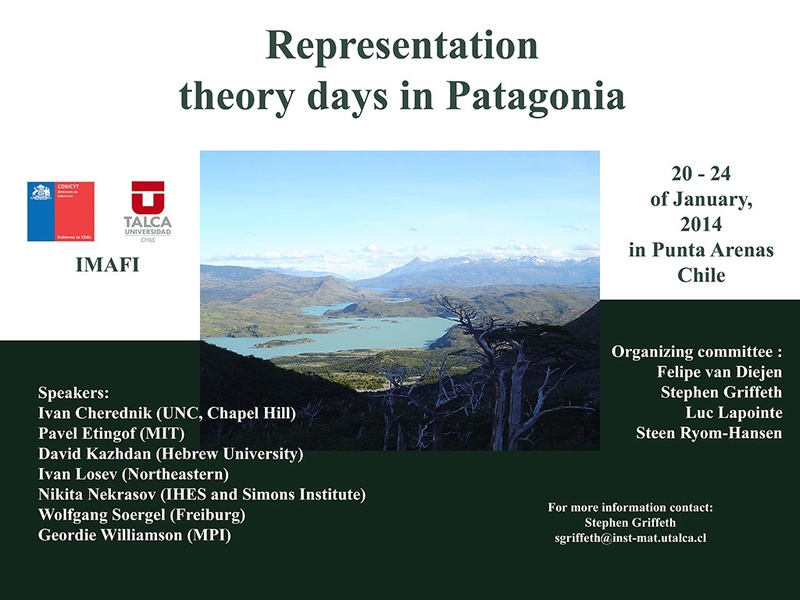 A focused workshop on recent research in geometric representation theory and related physics, to be held at Hotel Diego de Almagro, in Punta Arenas, Chile. Here is the poster, and here is the schedule. 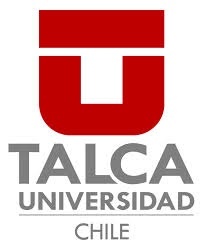 We expect to provide limited financial support to contribute to travel and living expenses during the conference for those currently at an institution in Latin America. First priority will be given to junior faculty, graduate and postdoctoral students, and---in some exceptional cases---to qualified undergraduates. Please send a request of participant support to patagonia@inst-mat.utalca.cl by the 15th of November. The PhD students requesting support should also ask a mentor to write a supporting letter of recommendation on their behalf. Ivan Cherednik, Jan Felipe van Diejen, Stephen Griffeth, Luc Lapointe, Steen Ryom-Hansen, and Nicholas Woodhouse. For further information email patagonia@inst-mat.utalca.cl.